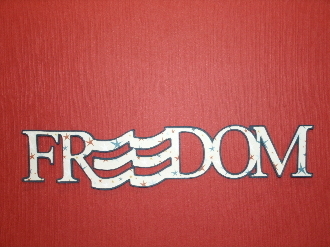 Handmade Freedom scrapbook embellishment. Made with Multi-colored Star print card-stock paper with a Navy colored card-stock shadow 7" wide. All of our papers and card-stock are Acid-free and Lignin free to protect your memories for years to come.